Here are my best picks for Unlimited Call & Text Promo for Prepaid Load Sellers and users. Networks Globe, TM, Smart, Talk N Text and Sun. Suggestions are more than welcome! Subscribe to Unlimited Call & Text Promo. Preferably when you sell load to MORE THAN 300 people in 30 days, or when you typically consume more than Php300 for personal use or when you mark-up P1 for every sale. Use BEST CHOICE recommendation if you use your phone to sell load and communicate with friends who use other networks. Use the CHEAPEST CHOICE if you only use your sim card to sell load. – Unlimited Sun texts. 5 hours Sun, Smart, Talk ‘N Text calls. 1,000 texts to other networks. Free Facebook. Nonstop Chat**. Spinnr access. -Unlimited Texts Sun to Sun ONLY. 5 Hours Sun to Sun. Free Facebook. Unlimited transactions to your Sun VMobile Gateway. -Unlimited SMS to all networks. 180 minutes to Smart, SUN, Talk N Text. 100 MB Data. Unlimited transactions to your Smart VMobile Gateway. Text MEGA250 to 9999. -Unlimited Texts to ALL NETWORKS. 240 minutes voice calls to networks Smart, Talk n’ Text and Sun. 100MB volume data. Unlimited transactions to 5986. Unlimited transactions to your Smart VMobile Gateway. -Unlimited Globe to Globe / Touch Mobile ONLY. 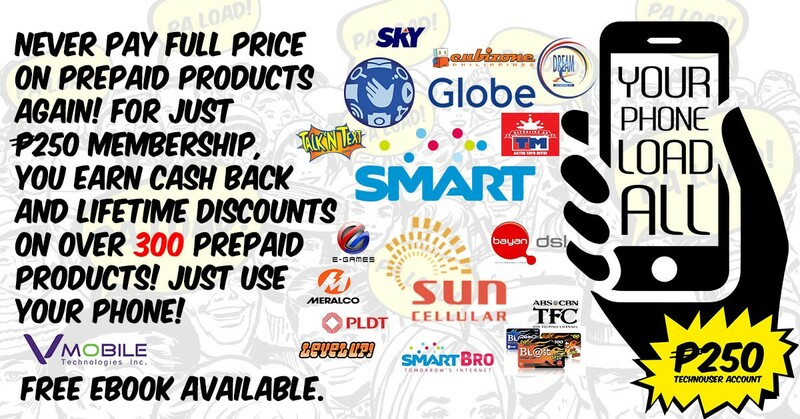 Unlimited transactions to your Globe VMobile Gateway. – Unlimited text to Globe and Touch Mobile ONLY. – Text T10 to 8888. – Unlimited Texts to all networks. – Text UA10 to 8888. -Unlimited texts to TNT/Smart/Sun. 150 Texts to all networks. 30mb/day for Facebook, Viber or Twitter. POST PAID NETWORK SUBSCRIBERS CAN STILL SELL LOAD AND HAVE UNLIMITED TEXTS TO THEIR RESPECTIVE NETWORK.